I think seeing the finish line and how well it’s shaping up have really renewed my energy to get this done on time rather than let it languish in my basket. It helps also that for the Harry Potter Knit and Crochet House Cup championship on Ravelry, I’m working on this as a Detention project during the Fall term. 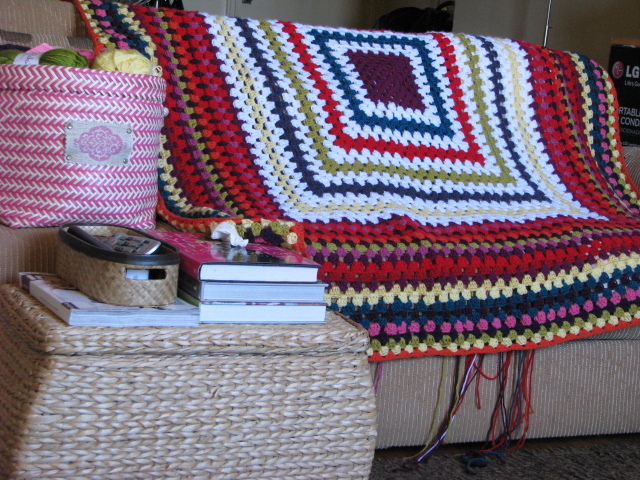 In addition to the blanket, this week I’ve also worked on this project I frogged. I’m almost done the beanie itself but decided to add something special to jazz it up a bit. 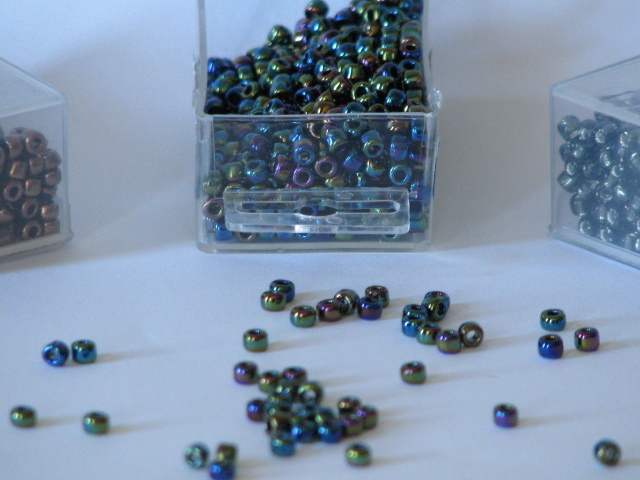 These beads will add that special finishing touch; I can’t wait to see if the F.O. will be what I visualized in my head. This post is part of the Y.O.P. challenge. See the group here on Ravelry and feel free to join in at anytime! Thank so much for visiting Tita!!! Hugs from the US!!! Your blanket is so pretty! And what a great idea jazzing up a beanie with beads, can’t wait to see the FO pictures!! Set!!?? You’ve got me intrigued, but I’ll be patient until the big reveal. That blanket is going to be so amazing to curl up in! I can’t wait to finish this project. Not because I’m tired of it but because I can’t wait to use all of it! Great blanket! I’m working on one for me too, and it’s taking ages – I’m using a finer yarn, not very wise, I know… but it was the only thing I had in stash, and I’m on a yarn diet. Love the blanket, it looks fantastic! The colors in that blanket just makes me smile. Me too! They’re just so happy, I’m glad I didn’t use “gray” colours to represent any negative feelings. Beads? Oh yes, just the right touch for anything to give it that special umph. I know right?!!! I’m just hoping it turns out like I think it would. Hopped over from Opal’s blog…you have a great site here!!! Very nice!!! Have a wonderful day! Fabulous blanket, you have me intrigued about those sets now, lol.